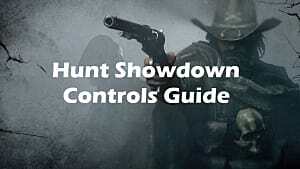 The much-awaited release from Crytek with heavy bounty-hunter elements and an emphasis on PvE gameplay, HUNT: Showdown is a beautiful game --for what it is. Still in Early Access through Steam, HUNT is not without its quirks, as many players have found themselves unable to play due to bugs and error codes. Hit Alt + Enter twice in succession to fix your screen size. If your game doesn’t even launch, or you get a black screen before it crashes, check your Windows files are up to date. If you’re running Win 10, look for update KB 2670838 and try relaunching the game after your Windows restarts. The most effective known workaround to this bug is for both players who wish to play as allies to enter the Random queue on the same server. You may have to keep trying, but it has worked for some players only after multiple attempts. These errors are triggered when a player is attempting to invite someone from a different region as them, or by accepting an invite from a player in a different region. Make sure you are in the same region as your ally when you try matchmaking. A few things could cause this error. First, double-check your network connection. If you’re connected, but the game still displays this error, make sure you have added HUNT to your firewall and antivirus whitelist/exceptions and try restarting. Make sure you launch the game through steam. You can also try reinstalling the game and launching again. If your game is out of date you will keep seeing this error until you update it. Some players have had success simply uninstalling and reinstalling the game as well. Both of these errors can be remedied by navigating to your local game files and installing Easy AntiCheat manually as an administrator. If you don’t know how to find you local game files, go to your Steam library, right-click HUNT: Showdown and scroll down to Properties. Go to the Local Files tab at the top and click Browse Local Files. Open the Easy AntiCheat folder and run the Setup.exe as an administrator. If you aren’t sure if you’re using an administrator account on your PC, right click the Setup.exe and click Run as Administrator. You’ve been banned by Easy AntiCheat and will need to contact support for any further assistance with your account. Where in-game the bug occurred. Were you in-menu, in the queue, mid-game? Another known-issue, devs are working hard to get this one fixed. HUNT: Showdown is still an early-access game, so try to understand that it takes a village to make a good game, and Crytek has a history of appealing to its fans and listening to its players. You’ll likely have to be patient and keep trying to connect when this bug pops up, as the guys and gals behind the scenes work diligently to get the game up and running again. This Hunt: Showdown error is linked to matchmaking on the serverside. Currently, the developers are working on a fix for this bug. Players began experiencing this error after the latest 0.138 patch released in February. Some players have found that changing server regions fixed the error. If you know of any additional workarounds for Hunt: Showdown error codes, let us know! 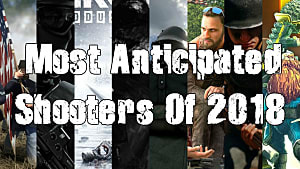 We strive to provide the most up-to-date info on this game as it develops.